How to Camp : Your embarrassing camping questions answered! Your embarrassing camping questions answered! Wondering How to Camp ? 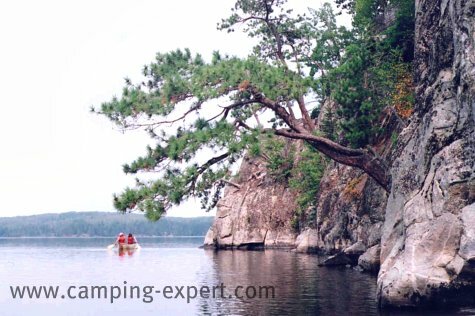 For most people, camping is just heading into the woods- by car or foot or boat or whatever way you want, pitching a tent, and either having a crazy party, or enjoying the tranquility of nature. But, there is always a little more involved than the tent. For example, everyone knows about the person who ‘knows how to build a fire’, but instead actually ‘knows how to build an impressive smoke machine’. So, find out how to build a campfire NOW, so you can actuallyimpress your friends. What’s you’re camping style? Party camper, RV camper, Car camper, Family camper, Canoe camper, Backpacker, Kayak camper, Winter camper or another kind of camper? Maybe you already know that you’re just a typical car camper. Find out some interesting tips for car camping to make your trip easier. •	Plus, tips on keeping it all light! Maybe you want to see a bear? There are many things you can do encourage bears to your site... (jk) For those of you that don’t want a bear encounter (I’ve never had a bear encounter, except beside the highway), follow the tips in the article ‘Bear Free- guide to keeping bears off your site’. It also includes info on what to do if you see a bear. Are you camping with one of those pack rats? The people who bring everything but the kitchen sink, and are prepared on site for ANY emergency that might arise over your trip? Well, then, you in particular, will need to learn how to pack stuff. Where are some of the best places to camp? There are the big, well known places, such as Banff, Yosemite, the Grand canyon, but what about smaller, places that are great, but less well known. Share your favourite places and find out what other places people like to go.